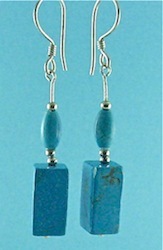 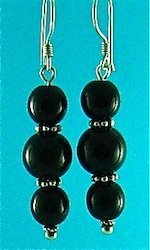 These photos are some of the beaded earrings I have made. 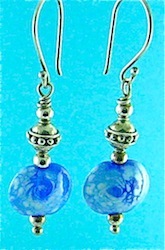 I have used a variety of beads and findings including swarovski crystals, Bali sterling silver, semi-precious gemstones and hand made flameworked beads. 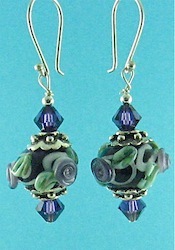 I like using flameworked beads from different beadmakers. 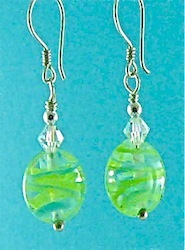 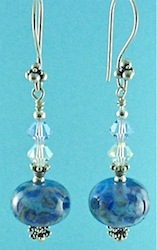 There are many talented people making glass beads these days that will really help your creativity. 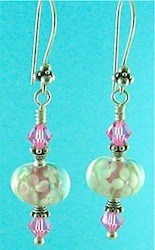 Many of these artists sell on eBay & etsy as well as online. 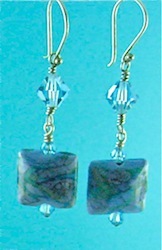 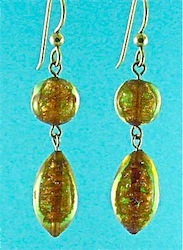 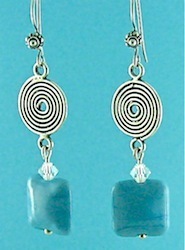 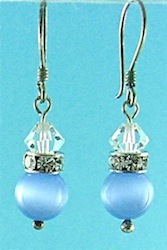 A search of bead stores will show you a large range of beads and findings you can use to make great earrings. 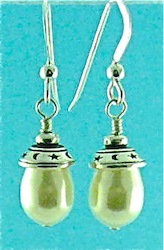 Always have a supply of fine chain, fine wire and headpins as this forms the basis for a great variety of drop earrings.